What are your boat transport needs? There is no feeling quite like gliding on the water in your prized and beloved boat. Whether you have a large sail boat, a catamaran or a power boat, you will need to find an experienced boat transport company with the correct vehicle and equipment to carry your vessel safely and securely. In different circumstances, especially when a cradle needs to be provided by the transporter, for large marine freight or if the boat is still in the marina, you may require a specialised marine transporter to relocate your boat. An array of trucks, trailers and equipment are utilised in boat transport and finding the right one for your particular boat is vital. You can get quotes for relocating a boat today! Get 3 Quotes for boat transport. It’s free to request quotes. Sail Boat: If you’re looking to have a large sail boat relocated from one dock to another and it’s still in the water, then you may require a driver with a crane truck in order to move your boat freight. Sail Boats on a trailer, however, can be winched onto a tilt tray or loaded with ramps due to the wheels on the trailer. Therefore, any boat transport company who has a tilt tray or loading ramps will be able to be utilised in this instance. Catamaran: A large catamaran that is still in the marina will usually require a specialised marine transporter. However, if the catamaran is already on a trailer then it can be an easier process in terms of loading the vessel onto the back of the boat transport company's truck and trailer. You’ll require cradles to keep the catamaran steady and prevent tilting whilst on the trailer so that it is secured. Fishing Trawler: Fishing trawlers come in an array of sizes and can be anything from a smaller vessel to very large fishing trawlers. For a fishing trawler, you will require a marine cradle to keep the boat freight secure by the boat transport company during transit. A crane will be required for larger trawlers to safely get the boat onto the back of the truck. Houseboat: House boats are challenging logistically to relocate but thankfully once they have found their new home they generally stay there for life. A crane will be needed in order to load the houseboat and this can be a very large operation. A longer drop deck semi-trailer is always going to be required by the boat transport company that you choose to meet height restrictions and due to the length of the houseboat. Hovercraft: Although there are smaller hovercrafts, there are also large hovercrafts which are often required to be relocated. A marine cradle is not required as the hovercraft will remaining steady and flat whilst transported. Due to this a specialised marine transporter won’t be required to be used but you will still need to find an experienced and professional boat transport company to shift your freight. Power Boat: Power Boats are vessels that have been loved by enthusiasts for decades due to their high speeds. If the powerboat is without a trailer, then it will require a cradle and will need a power boat transport company with a crane truck or crane to load it. If the powerboat is on a trailer, it can be rolled and winched onto the flatbed tray for loading by a boat transporter. Floating Module: Floating modules are plastic floating platforms or docks and often they’ll need to be relocated too. If you need to have one of these modules relocated then it’s important to find a boat transporter who understands the complexities of moving this type of marine freight, be it a new purchase or just moving from one marina to another. Barge: A barge can be extremely large and will always require a boat transport company with a crane in order to load it onto the back of a large drop deck semi-trailer or b-double. This requires a highly experienced and specialised boat transport company in order to relocate from one location to another. This large and bulky freight will need a reliable, knowledgeable and skilled transporter in order to perform this task. If you need to move any type of boat freight from one marina to another because you’ve moved, changed holiday destinations or you’ve made a new boat purchase interstate or locally, then you need to find the right boat transport to ensure the boat gets to its destination safely. Often a specialised marine transporter, a marine cradle and/or a crane are required to shift boat freight, be it a houseboat, power boat, fishing crawler or hovercraft. 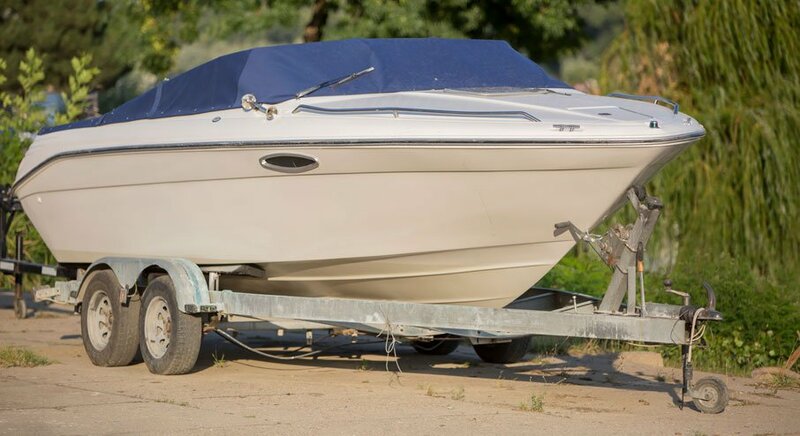 Whatever your individual requirements, you’ll need to find a boat transporter who is experienced, reputable and able to arrive on time to help you move your beloved boat. FreightQuotes is an online tool that connects boat transport companies looking for marine freight to shift with customers who require boats of all kinds to be relocated. Fill out the get quotes form for free and you’ll have up to three boat transport companies contact you with transport quotes. Boat transporters operate across Australia. This includes interstate and local marine freight covering all states and capital cities including Adelaide, Brisbane, Perth, Darwin, Melbourne, Canberra, Hobart and Sydney.